Patients who undergo radiofrequency ablation of the atrioventricular (AV) node rarely develop acute major complications. A 41-year-old Caucasian male smoker, was admitted to the Pulmology Teaching Hospital at Belgrade, Serbia, for sharp persistent chest pain, fever and fatigue following AV node radiofrequency ablation for arrhythmia. Chest X-ray showed obtuse right costo-phrenic angle and laminar atelectasis in the right lower lung lobe. The plasma D-dimer level was elevated. A perfusion lung scan showed multiple bilateral perfusion defects and multislice computed tomography showed thrombotic mass in the right pulmonary artery. 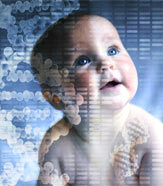 Genetic analysis revealed that he was heterozygous for the prothrombin Factor V (FV) Leiden and MTHFR C677T mutations. Therapy started with intravenous heparin, followed by warfarin. He had no other episodes over a 2-year follow-up. Lifelong oral anticoagulant therapy was recommended.